Venture into the foreboding depths of the Catacombs of Chaos, where, legends say, troves of fabulous treasure lie hidden. But to get it you'll need to bypass cunning traps and defeat fearsome guardians including the dreaded Chaos cult that makes the catacombs its home. 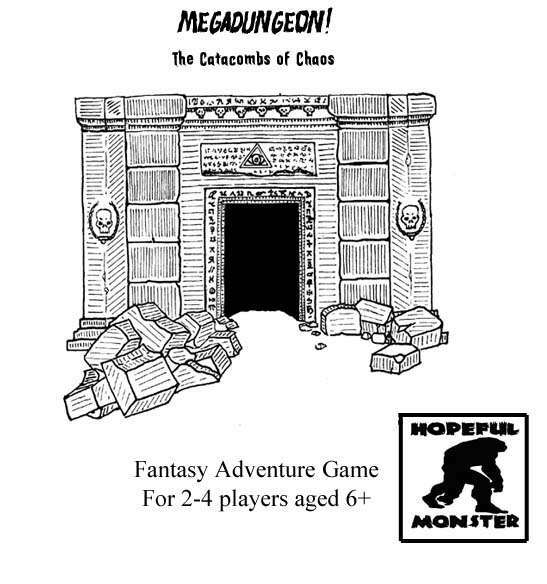 Megadungeon! is monster-slaying, treasure-looting fun for the whole family. Players explore the dungeon and compete to acquire fabulous treasure and gain levels. The first player to achieve one of the variable victory conditions wins. Because the game is constructed using randomly drawn room and corridor tiles, you get a different dungeon to explore every time you play. And with eight dungeon levels, you can play quick half-hour long games, or epic, multi-session games. This title was added to our catalog on February 09, 2012.